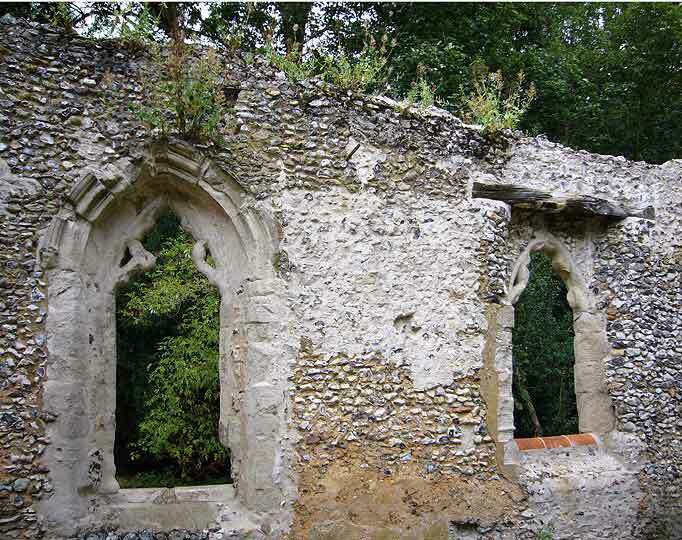 The old church in the village is in ruins. 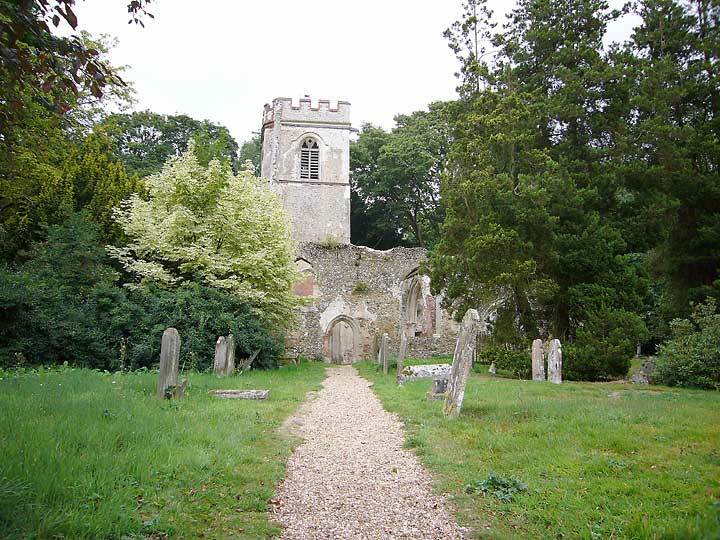 Tradition has it that Sir Lionel Lyde began to pull it down when he had decided to build (as one would then have called it if today's jargon had already existed) an ultramodern church (in the late 18th century) in the grounds of his house. 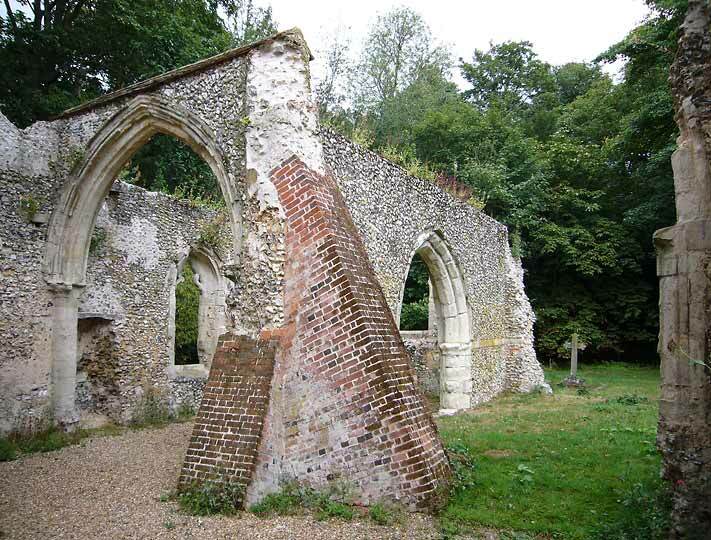 The Bishop heard of this when demolition had gone some way, and prevented further destruction. 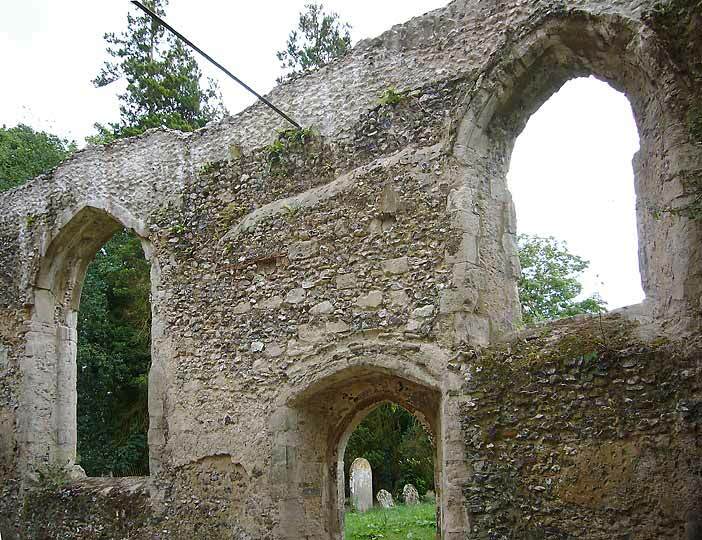 The damage was not repaired, and so the picturesque ruin which we see today resulted, a sight which would no doubt have pleased Sir Lionel and his friends. 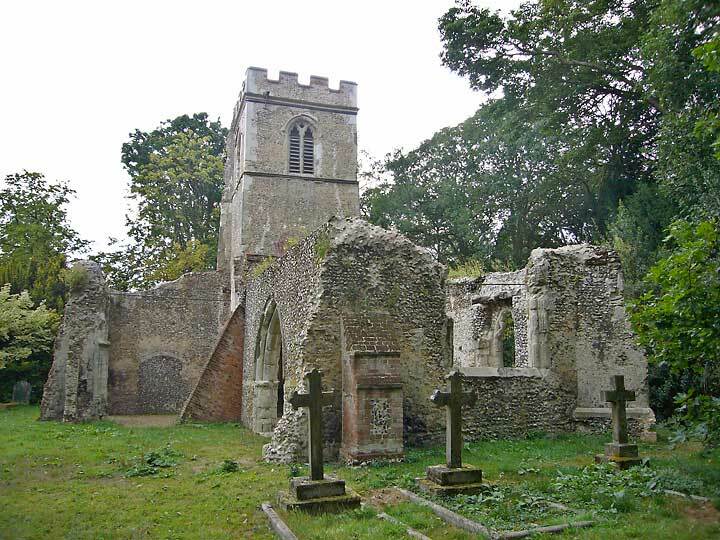 What survives of the building shows that the church had a NW tower set within a N aisle, nave, chancel and N chancel chapel. 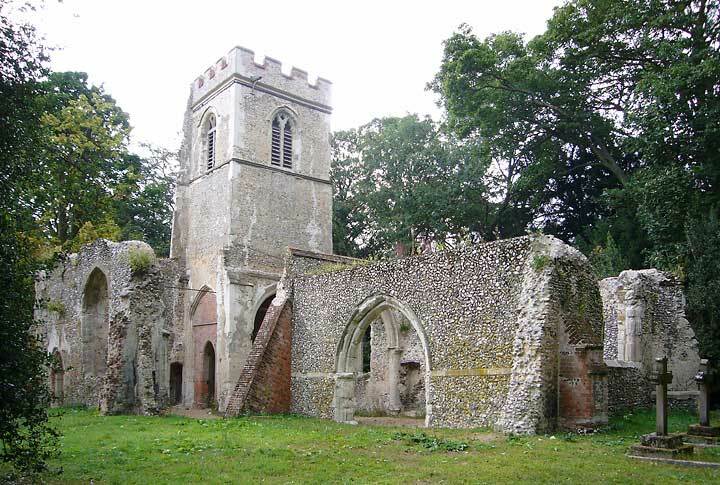 The plan at the bottom of this page gives a very clear picture of the church prior to its demolition. 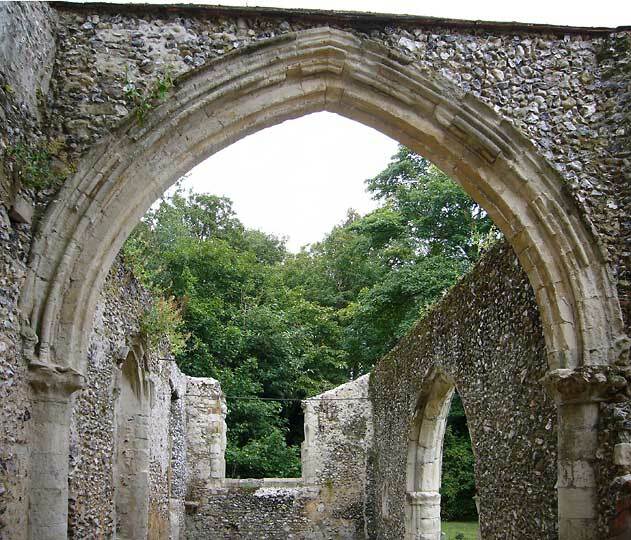 The windows in the N wall of the N chapel tell of Dec tracery (one has a combined star and quatrefoil motif in the head, known as Kentish tracery). 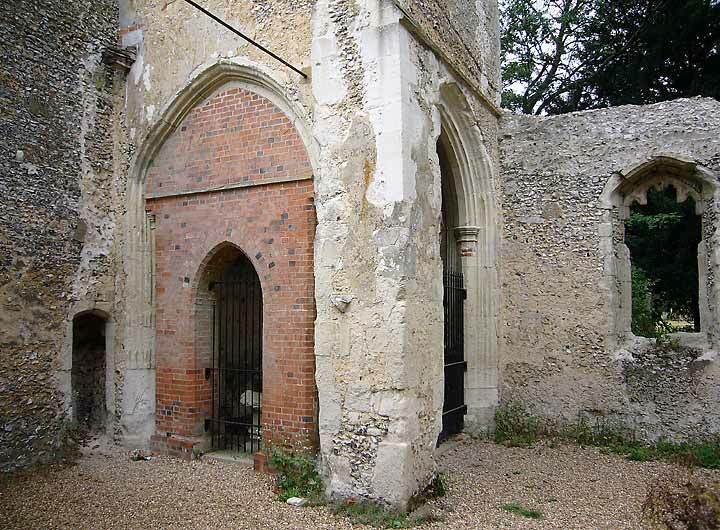 The W arch of the same chapel with early C13 stiff-leaf capitals was originally that of the nave arcade. 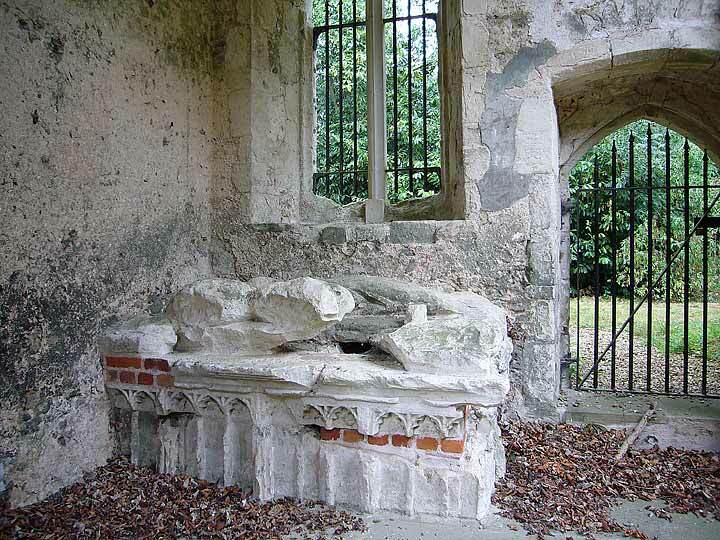 A decayed C15 tomb-chest under the tower with recumbent effigies of a Knight and Lady, the chest with panels with cinquefoiled arches in groups of three.